Since Loretta Lynch was finally confirmed by the US Senate as US Attorney General on April 23, 2015 after the longest wait for confirmation in US history, I peeked at her natal planets (May 21, 1959, Greensboro, NC, birth hour unknown so I'm using noon) and was little surprised that a significant transit was in progress: Jupiter stationed direct upon her natal Uranus @12Leo39 on April 8, 2015. Astrological Jupiter on one level represents politicians and legal matters and natal Uranus denotes genius and change, and by sign, how a native behaves. In soon-to-be-sworn-in Attorney General Lynch's case, the sign of her natal Uranus is Sun-ruled Leo (leadership; pride) and a planetary stationing upon a natal planet designates a very strong emphasis on matters related to the planets involved. Uranus can also be a disruptive influence and there are indications in her natal chart and the transits of her confirmation-vote horoscope that tradition and the upholding of it (or not) will be one of themes during her term as Attorney General. 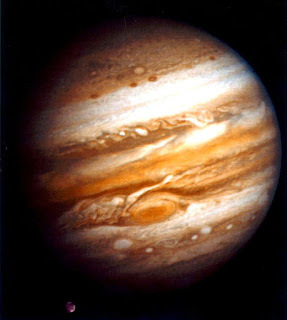 With Jupiter to Uranus, certain skids are greased in the realms of Politics, Finances, and Group Causes and Activities. It's a very inspiring transit full of newness and promise and if negative factors don't interfere overmuch, she will benefit in her new position from the independence and freedom Jupiter suggests for both planets insist upon freedom. Of interest during the Senate vote for her confirmation which was scheduled for 2:00 pm or so Thursday (4.23.15), her natal Pluto @1Virgo was rising then--the planet of power, transformation, stealth, and wealth. Pluto in Virgo potentially indicates an ability to achieve much with the simplest means, pursuit of scientific objectives with fanatical zeal, a desire to collect, and an inquisitive mind (Ebertin). Natal Pluto conjoins Royal Star Regulus, the planet that represents the US Capitol Building in the original Federal Triangle plan with the star's keywords: success if revenge is avoided. As you know, her ultimate confirmation was never seriously in doubt. The long stalemate was for the sake of political gamesmanship. You must have heard that her fund-raising opponent Senator Ted Cruz skipped out on the vote entirely since he didn't get his way on blocking Lynch's confirmation--that was a big laugh on Mr. Green Eggs and Ham! So with such a lofty position in society, it's unsurprising that Lynch's natal planets form a Locomotive pattern of high-powered success and executive ability with natal Mercury @15Taurus leading the engine--her natal Mercury conjoined Midheaven at 2:00 pm Thursday as did transit Mercury (votes and meetings) and had just returned to natal position along with transit Mars in Taurus to natal Mercury denoting a faster pace of life and potentials for verbal combat, energetic discussions and meetings, and/or a large volume of communications. Actually at 2:00 pm a midpoint picture formed: Mercury-Mars = MC hinting at courage, determination, readiness for action, and an ability to retaliate in a proper way if necessary (Ebertin). Now 'confirmation Venus' @14Gemini (perhaps representing the lady herself) on Thursday, was and is out-of-bounds as is her natal Venus @12Can25 (near goddess star Sirius @14Cancer, The Shining One or, The Scorcher) and since power and control issues are at stake, we must note that in Lynch's natal horoscope, there is a Grand Cross between her Sun-Jupiter opposition and a Pluto-Chiron opposition which necessarily includes Sun square Pluto and Chiron, and Jupiter square Pluto and Chiron. Sun square Chiron indicates a life in which socio-cultural issues of authority play a significant part; Jupiter square Chiron hints at severe conflicts at some point due to being at odds with socio-cultural norms; Pluto opposite Chiron (from Virgo to Chiron @27AQ conjunct US natal Moon, We the People) will struggle on behalf of certain archetypal energies that seek to force their way into mass awareness (R. Nolle). Though in dissociate signs, Lynch's natal Pluto opposing US natal Moon we expect that there will be citizens who resent her authority and control. Transformative plans may be implemented that many see as threatening--and perhaps they will be. Or not. Either way, no easy ride as US Attorney General is promised her by such astrological contacts with the public, historical as her promotion may be. Chiron, the Wounded Healer, in aspect with plutocratic Pluto denotes an influx of exploitation and repression vibes though if her tenure turns out to be oppressive, she's probably following The Script that all must follow if they wish to buy a ticket for the Global Government train. 'Offers they can't refuse', and all that, with no option to do otherwise. A Sun-Pluto square person is the 'might makes right' kind of mindset while a Jupiter-Pluto square indicates a wheeler-dealer who may exaggerate burdens to justify neglect of responsibilities and engages in large scale enterprises where great returns may be expected from little effort! (Pelletier). As for Loretta Lynch's Sun-Moon personality blend, the Moon remained in Scorpio for the 24-hour period of May 21, 1959 but the Sun changed signs--from very late Taurus to 00Gem00:00 at 2:42:05 pm EST. So if born before that time, she has a muddy Sun Taurus-Moon Scorpio blend of Earth-Water; afterwards, the influence is a Sun Gem-Moon Sco blend of Air-Water energies. Sun Tau-Moon Sco is an earthy blend of pragmatism and practicality. Taurus/Scorpio is the Desire/Money Axis and relates well to her position in law enforcement since intense Scorpio's realm includes death, investigation, and surveillance. Late Taurus is near the difficult Fixed Stars of the Pleiades constellation and her natal Sun @29Taurus (or 00Gem) conjoins starry, unlucky Alcyone, one of the seven sisters, with keywords something to cry about and exile. As for her coming to public attention, the Solar Eclipse of May 20, 2012 @00Gem conjoined this star and Lynch's natal Sun simultaneously making the 29Tau/00Gem degrees very sensitive and significant for her and denote an eventful or famous life if other eclipses and Fixed Stars concur. Star Note: In the confirmation-vote horoscope, transit Pluto @15Cap32 Rx conjoins Fixed Star Vega with potentials for 'luck in politics' and 'wealth through dealing with the government' but also 'fleeting fame' and 'double-dealing' (A. Louis). Additionally, the Sun is unaspected as are Saturn @3Sag39 Rx and the 2:00 pm Ascendant (the confirmation itself). Seems the Sun and Saturn are in league (president and Congress?) with the Sun @3Tau15 revealing a Sabian Symbol that supports the Vega implications--"4Tau" = "The Rainbow's Pot of Gold" (Jones). 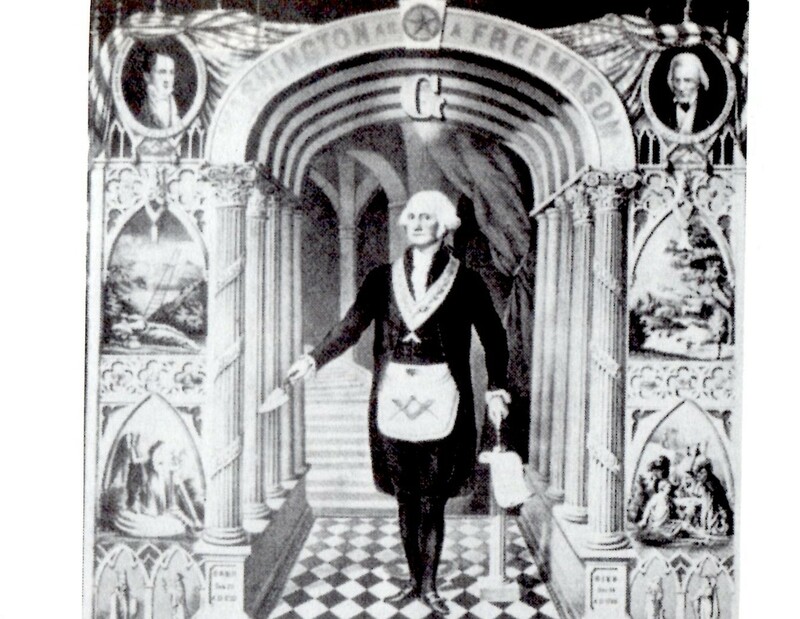 As you know, this is Chiron's Discovery degree (1977: 3Tau08) and it is opposed by Lynch's natal Neptune @4Sco56 Rx. The claim-your-territory blend of Sun Tau-Moon Sco describes an impassioned leader of social causes and a shrewd business person. Independent, protective, 'bossy', and resourceful are hallmarks along with staying power, perception, and a willful stubbornness. Risk and challenge are sought and a change of mind seldom occurs. There is administrative power in this personality blend, a magnetic presence, and enormous self-confidence within the 'dark enigma' that is Sun Taurus-Moon Scorpio. The blend's negatives may include: 'strongly subjective responses, fixed prejudices, a difficult temper, and a ruthless desire for power'. Taurus-Scorpio's conscious-unconscious Images for Integration are: "Persephone and Pluto...The Phantom of the Opera...The Mating Season...Dennis Potter's The Singing Detective. Note that this natal blend is that of President Harry Truman of "If you can't stand the heat get out of the kitchen" fame. Communicative yet secretive describes this blend along with a quick wit and a full heart. It may be totally committed or changeable, restless and superficial with a deep reluctance to face the darker side of life. How inconvenient for one who works with criminality! Sun Gem-Moon Sco Images for Integration are: "An elegant hostess puts on a party and exhibition to help a worthy cause...A shuttle diplomat brings together warring factions...Elgar's Enigma Variations--'to my friends depicted within'"
Well, I can't say that the accomplished Loretta Lynch is not an 'elegant hostess' but I do think the gravity of her past and new positions in the legal profession call for the more serious Sun Taurus-Moon Scorpio blend, don't you? 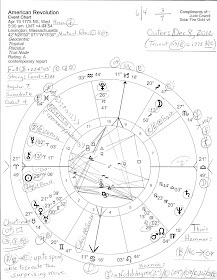 There are many other chart factors in her natal horoscope and in the confirmation-vote chart worth mentioning but my schedule doesn't allow so perhaps you'll set up the chart and have a peek for yourself! And wouldn't it be excellent if the birth time of Loretta Lynch turned up online or if someone took the time to rectify her horoscope?